I picked a brewery from each suburb; Hawthorn Brewery, funnily enough from Hawthorn, and Australia's biggest craft brewery Little Creatures from Fremantle. Basically I'm going to put similar beers from each brewery up against each other over 4 quarters and see which one comes out on top. This is going to have a little added significance for me as I'm going to put $20 on whichever suburb's brewery comes out on top. 4.7% Hawthorn was always going to struggle against the Little Creatures Pale Ale, the beer that started the Australian craft industry. It did put up a good fight though, a touch sweet for my liking but all-in-all a very sessionable American Pale Ale. 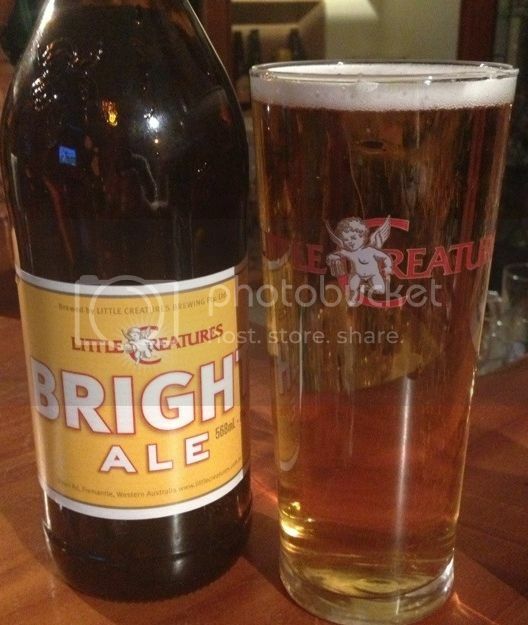 Little Creatures Pale Ale is far and away Australia's most popular Pale Ale. It's the first beer I really knew how to describe and holds a special place in all Australian craft drinkers hearts. So full of fruit flavours and so sessionable! 4.6% Hawthorn's Pilsner is solid. Not a heap of hops but enough to provide good bitterness. At first it's a little over carbonated but if you let it sit a while it's fine. This could be incredibly sessionable, I'll probably buy more of this. 4.7% I had the Amber Ale from Hawthorn at a tasting around 2 years ago and wasn't very impressed. I can say that it's improved now. It'd be a good introductory amber ale as it's a little bland. Good toffee and caramel flavours, just missing a bit of hop bite. Rogers Beer is named after the two Roger's of Australian brewing; Bailey and Bussell. It's an English style beer and it's pretty average. I'm not a fan of the herbal hop flavour, which doesn't work for me at all in conjunction with the malt base. 6.2% The lights have just failed us here in the bar. We are in the last quarter of our Beer O'Clock Grand Final and this is my favourite Hawthorn Beer. The Australian IPA is delicious! The hops have tropical fruit flavours and although not particularly strong they still dominate the beer. Was it a good idea to play with electricity in the middle of the last quarter of the Beer O'Clock Australia Grand Final? Probably not, but I did it anyway! It's a nice flavoursome ale, but doesn't live up to their Pale Ale. This was a good little challenge to do and I'm glad I did it. Now we have to get to the all important results. 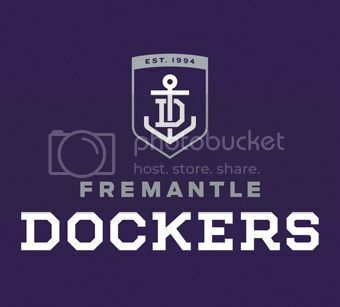 The first quarter; Pale Ale's went hands down to the Fremantle Dockers and Little Creatures, the Dockers 3 goals up at the first change. The second quarter was a tightly contested affair with the Hawks pulling a goal back. 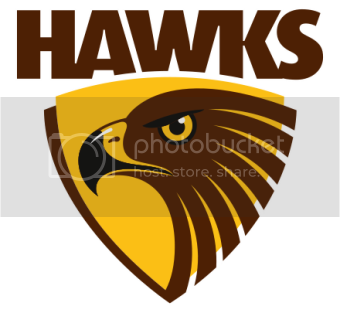 The Hawks came out firing in the Premiership quarter and won the quarter by a couple of goals to tie the score up going into the last quarter. The last quarter was a battle of the leftover ales; the Australian IPA from Hawthorn against the Bright Ale from Little Creatures (Fremantle), in what would be a head to head battle for the title. They are both very different flavoursome ales, but I'm going to have to give it to the Hawks by a goal.